Discover LaToya Forever's Youtube and Instagram stats, most viewed videos and tag analysis. Welcome to the Official Youtube Page of LaToya Forever. LaToyaForever™ is an online personality with a whole lot of fun! A full-time video creator with 2 channels, check out the vlog channel here: http://youtube.com/latoyaslife Mother of 2. Check out my daughter's channel: http://youtube.com/samiaslife Wife. Get inspired by discovering the TOP 100 Youtube videos of LaToya Forever. 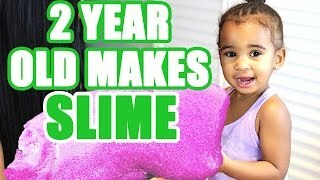 2 YEAR OLD MAKES SLIME! ADDRESSING THE RUMORS ABOUT ME! DEAR KARDASHIAN&#39;S, LEAVE JORDYN WOODS ALONE! Discover which video tags are used by LaToya Forever for the most videos.